The Tampa Bay Beaches are at the heart of Florida's gulf coast. 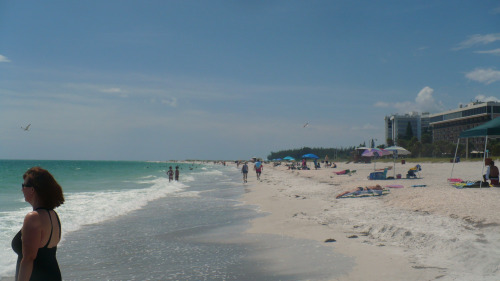 The area has some of Florida's best beaches, and are regularly rated amongst the best in the US. Having been raised in Tampa, I grew up on these beaches, and still visit there for beach vacations even now. Since I am living in Orlando, and pretty much have my choice of beaches, that should tell you something. The area is large and has a great many beaches to chose from. Since I can't cover every one, I will at least tell you about several on each side of the bay area, and give you links that go into more detail on some of those beaches. 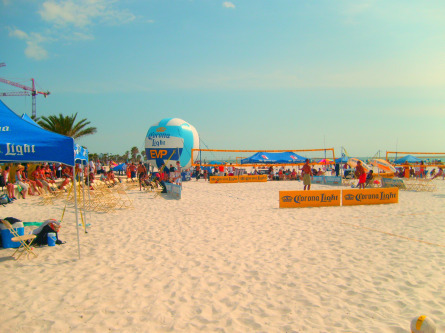 You should know that when it comes to beach oriented activites, the Tampa Bay beaches can cover the entire spectrum. There are beaches, like Clearwater Beach, that have every active sort of thing imaginable to do. This includes renting a jetski, watching a nationally televised speedboat race or volleyball tournament, or listen to music at a Tiki bar. Then there are other beaches, like Lido Key or Caladesi Island, where you can escape crowds and slip into something quiet, natural and even romantic. There is also life beyond the beach as well. Tampa Bay has everything a city in Florida has to offer. You can choose between going to the theater or the zoo, watching a pro football or baseball game, deep sea fishing or deep thought at a museum, walking on the shore or dancing the night away. I'm sure you get the point. After all, there is a reason Tampa is regularly chosen to host the NFL Superbowl. Best of all, when it comes to the Tampa Bay Beaches, no matter what you are looking for, you will end up on a great beach. Just as with things to do, the options for accommodations are endless. So I have put together a page on a few of the resorts that can be found in the area. I have chosen ones accross several the the Tampa Bay beaches. Here is that link to the Tampa Bay Beach Resorts page. The north Tampa Bay beaches are usually what comes to mind when most people think of the Tampa Bay area beaches. These are the more populated and tourist oriented beaches of the bay area. They have lots to do, and are a lot of fun. The beaches here are very high quality, and you can even find places to get away, if you wish. There are accomodations and levels of luxury for all price ranges, so whether it is a family vacation or a pampered weekend at the beach that you seek, these beaches are for you. A top beach! This is rated "the best city beach in America", and is my #1 overall choice for a great Florida beach vacation. It is also only 10 minutes away from another top beach to visit - Caladesi Island. These beaches are located in the center part of the area. They are generally not as crowded, and home to a wide range of different types of places to stay. These are a nice blend of fun & relaxation. Best of all you can find some of less expensive places to stay also. There is a nice place to do some shopping close by called John's Pass, and you can also do things like rent a deep sea fishing charter, or go on a sunset dinner cruise. Located on the southern end of the peninsula, just before you cross over the Sunshine Skyway to Sarasota is St Pete Beach. A great beach with all the amenities of Clearwater, but with half the crowd. There is public parking, plenty of restaurants, and lots of great places to stay. What makes St Pete unique to probably any other beach is that you are just minutes away from being able to attend a major league baseball game (Tampa Bay Rays - tickets are usually available). The northern end is really what most people consider to be Tampa Bay. The vast majority of the metro is here, so all the resources of it are available within 5 to 30 minutes. That means there is really nothing (legal) that you can't do. You can even get to Disney in just a couple of hours. Clearwater - exit the airport and follow the signs to SR60(Clearwater). It will take you across the bay. Stay on it until it drops you across the intercoastal waterway and onto Clearwater beach. St Petersburg (all others as well) - exit the airport and follow the signs to I-275W(St Petersburg). It will take you across the bay. Stay on it until see the exit sign for your beach. St Pete is the last beach. If you get to the Sunshine Skyway, you have gone too far. Driving - you will come in either from the north on I-75, or the east on I-4. once you get into Tampa, follow the directions above. Just across the Sunshine Skyway, on south Tampa Bay, lie some of the best beaches for vacationing anywhere (Siesta & Lido Key, & Anna Marie Island). In fact, one of them regularly receives national acclaim. 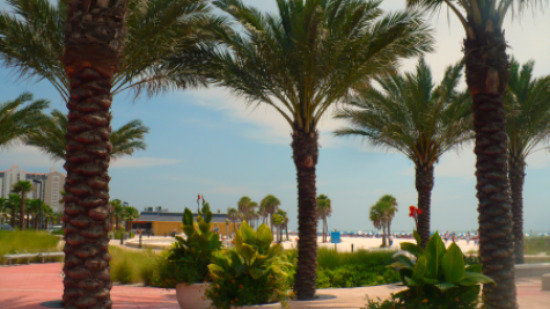 These beaches are like a throw back, in style, to the Florida beaches of decades gone by, and unlike the North Tampa Bay beaches, these beaches are generally more quiet and relaxing. A couple of years ago my family spent a few days down here and loved it. This is an incredible beach for romance and/or relaxtion. If that is what you want, you will love it here. One of the best beaches anywhere. You need to check this one out. 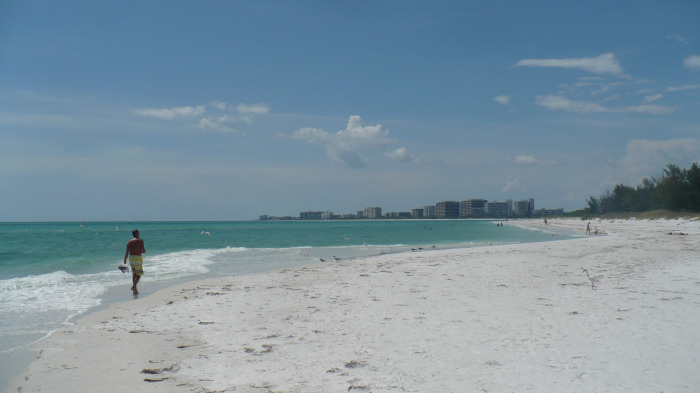 As part of the south Tampa bay area, these beaches are easy to get to. There are 3 airports close by. Tampa International is the biggest. It is about 45 minutes or so drive via I-275, and is one of the best airports in the US. Flights will be abundant, and if you have the time to plan, you might find some low rates. 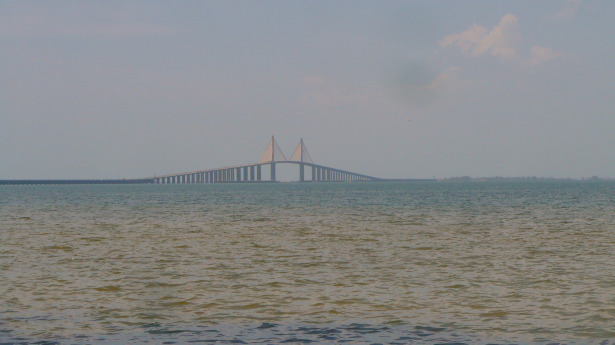 This is a very nice drive which crosses Tampa Bay in 2 different places and reconnects with I-75 on the other side of the Sunshine Skyway to take you into Sarasota. Sarasota itself has an airport. This would be the most ideal, obviously because it means only a short shuttle ride to any one of the beaches. This is more of a regional airport, so finding flights into here is a bit more difficult. A third option would be the St Petersburg/Clearwater International airport. It is a regional airport also, but only about 10 minutes closer than Tampa Intl. I would use this only if you can get a rate far superior to the other airports, but it is an option.Driving – If you are driving, just make your way to I-75 and head south towards Sarasota. This is the simplest. If you are coming from the east coast, take I-95 to I-4 to I-75. If you desire something a little more scenic, head all the way into Tampa, and jump on I-275. It is worth the extra effort (unless it is rush hour). If you decide that you might want to take a break from the beach, the area around these keys, and in Sarasota offer a variety of things to do. For example, the Mote Aquarium and the Ringling Museum are nice day trips. The girls and I went to the Mote Aquarium and enjoyed. It is actually as much about marine science as it is about tourism. We spent about 2 or 3 hrs there and enjoyed it. Sarasota used to be the winter home of the Ringling Bros. circus. John Ringling built a huge beautiful mansion here that has been converted into the museum. It is surrounded by lush gardens, and filled with an amazing collection of art work, as well as some circus memorabilia, of course. This makes for a great diversion that can be enjoyed by all.If you decide you would like a little more action, you just go back across the Sunshine Skyway, so that means you are only 15 to 45 minutes away from all that a big city area has to offer. This includes sports, theater, zoos, fine dining, even an amusement park (Busch Gardens). If you are feeling up to a little more of a drive, Disney & all of the Central Florida attractions are only an easy 3 hour drive away (from Sarasota take I-75 to I-4 Orlando).